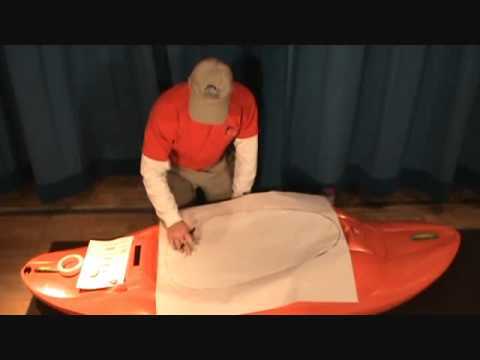 The Seals Extreme Tour kayak spray skirt is the perfect skirt for extreme paddling conditions. Constructed with high performance 4.0 mm neoprene deck with waterproof, breathable fabric tunnel and adjustable neoprene waistband. For extreme paddling conditions. 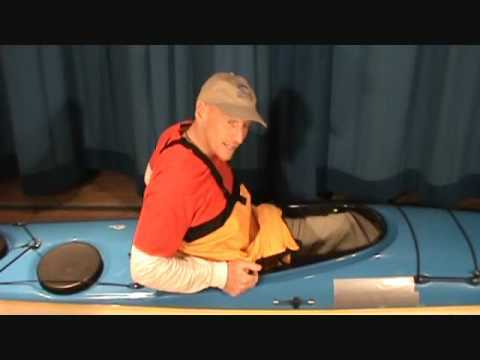 The 7.1 fits firmly on our G+ K2, as long as the body portion is up under your lifejacket, your legs will stay bone dry. In an emergency it will be a struggle to remove. Construction looks solid and long lasting. It kept me dry and was relatively easy to put on and take off (with some practice). Oh, the luxury of getting out of my kayak without a drop of water on me! It makes me feel as though I was just playing around with my previous skirts. The only water now is what drips off my shoes when I get into my boat. This is not a skirt that will just slip onto your coaming with thumb and forefinger. Austin Kayak told me that I would need to be strong enough to bench press 40 pounds to attach this skirt, and I believe them. But once it is attached, my kayak is sealed tight. Don't be put off by the conventional "knowledge" that a neoprene skirt will be too hot. Your cockpit is not cooled by excess heat radiating through the skirt. It is cooled on three sides by the water you are floating in. I found not the least difference in cockpit temperature between this skirt and the thin nylon skirt I had been using. Let me start off by saying I have a Dagger Apostle 17' touring kayak. This boat is almost 20 years old. Many of the other sites and products I looked at would've made buying a skirt for this kayak a guessing game. ACK & Seals took the guesswork out of knowing what size I needed to purchase and made it easy. The skirt itself has very nice fit and finish. Elastic draw a cord that goes around the cowling is nice and stiff and the material covering it is nice and grippy. The suspenders clip off easily and the Velcro tabs on the sides make it easy to put on. The quality of the stitching is good, the water will leak in if it puddles around your waist. Through no fault of ACK or Seals, I wish I had gotten the next model up. The descriptions on this website did say that the skirt with the neoprene tunnel would keep water from pooling around your waist and shed it more effectively to the deck of your canoe. Bottom line: If you're going out for light duty summer days and you don't want watering drippingin to your kayak, this is the skirt for you. If you are going onto the ocean or will see waves, do yourself a favor and buy the next model up. I'm sure that it too would be of the same excellent quality. Bought this for my QCC 600x. Used the recommended size from Seals and left it on for 24 hours after I bought it. Works great. Tight seal. Bomb proof construction. The sizing was perfect. High quality spray skirt. Very happy with purchase. Skirts were tested on two WSBS built K2s in rough water on the Finger Lakes. The boats are low-set racing kayaks not sea kayaks and the Seals Extreme Touring 2.2s did a good job keeping water out of the large opening cockpits. Only complaint is that the Seals fit guide lists WSBS as only custom made. The off the shelf 2.2s fit fine. I would have preferred the blue/black color (the one sent was all black) - but it kept me dry & warm. 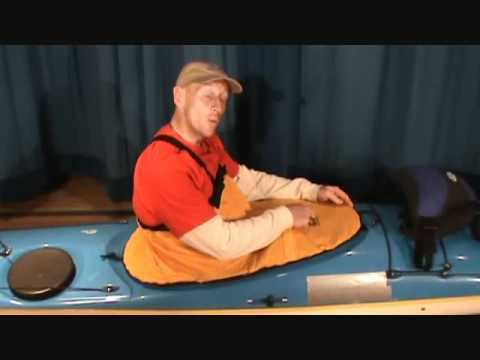 Great skirt, comfortable and water tight during rolling practice in touring sea kayak. Excellent customer service experience with this manufacturer. Good construction and worked for me even on class 3+ creeks. Definitely a better alternative to the Approach and Remix xp specific Seals skirts. I use a 1.7 on a Pyranha Fusion and would guess that a 1.4 would fit it too - just might be difficult to get on at first. Well, if you like a product that will last for years, this is it. If you like a product that is made with the best care possible, this is it. If you like to roll your yak a lot, and want to stay dry... you guessed it! This is it! If you would like a skirt that was easy to put on, this is it. If you would like a piece of chinese junk, this is certainly not it. P.S. 1.7 fits my necky manitou 14 perfectly!!! So be sure to buy which ever size Seals tells you to buy, and not some self proclaimed professional on a review page like this one. God bless and keep 'yakin'!!! This is a terrific spray skirt. The one I received is all black, not the blue/black one pictured. It has so far done the best at keeping me dry while rolling/edging of all the spray skirts I've tried on my NC kayak. Very,very nice. Fits very securely to my Necky Manitou. Excellent construction. These neoprene skirts are well constructed and are a great item for rough water. I used a 2.2 size last weekend on my 14 ft Necky Manitou while paddling Lake Granbury during 30 mph winds and two foot waves. Be aware that the Seals recommended sizing is often incorrect. One needs the 2.2 size for a 35 in long cockpit (like my Necky Manitou) and the 1.7 size for a 30 in cockpit (like my QCC). Q: Is there any tunnel sizing? On the seals website there is some mention of midriff tunnel sizing. I am not sure if that was for their other skirts or for the extreme tour. Q: for a necky tofino double?????? A: Nylon Sprayskirt & Cockpit Cover Size: 2.2 Neoprene Sprayskirt Size & Cockpit Cover Size: 1. Q: I am building a touring kayak with a cockpit that is 16" by 33", but that can be adjusted. What size skirt would best fit this opening? I haven't cut the cockpit out yet, so I can customize the size to fit. A: You would need a 1.7 size cockpit seal. I would also advising you on going through the fit guide on our page as well so you can get exact measurements. Q: Which skirt would fit a Current Designs Kestrel 140 Open Cockpit Kayak? 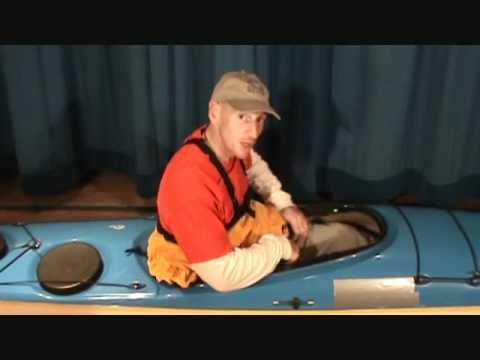 A: Unfortunately a neoprene cockpit cover is not made for that kayak on this model. The Nylon version would fit the 5.5 size. A: You kayak does not fit any of the standard Seals sizes, but they do have a custom tracing already in their system for you. Unfortunately it would take 1-2 weeks to get a custom skirt to you.